Since my last update on this beautiful phenomenon there has been new research released to suggest that if you listen hard enough and the conditions are right you may even be able to hear the Aurora Borealis as they dance across the sky. 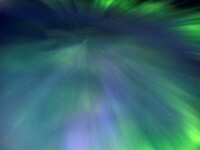 An article posted on UniverseToday.com following a 12 year research project into sounds surrounding the Northern Lights now suggests that there are several quiet sounds described as claps, crackles, etc, which can be heard ‘during times of high geomagnetic activity’. Other recent news comes from the Isle of Man where a photograph was captured over Ramsey of the lights on Tuesday, 17th July 2012. It was noted that the Northern Lights can be seen over the Isle of Man throughout the year although mainly between March and April making this Aurora Borealis photograph a rare opportunity of the heightened activity this year. 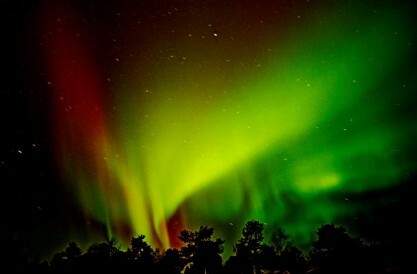 To see the best of the Northern Lights it is still recommended to travel north of the Arctic Circle and with the most active Aurora Borealis predicted this year, for more than 50 years, now is the best time to book your trip to Lapland and take in the show of a life time. Bring your children to meet me ‘Santa Claus’ this December, clear skies permitting you can then take in the beauty of this natural show of lights as they dance across the skies above you.